Redwood classics apparel LAUDED for social responsibility and human rights commitments - WS & Company Ltd.
TORONTO, ON, March 5, 2015 – Redwood Classics Apparel is pleased to announce that it has been recognized for superior human rights and social responsibility initiatives by EY in the UN 2014 Global Compact. As one of the only Canadian companies featured in the report, Redwood Classics Apparel is a representation of the fact that the Canadian apparel-manufacturing sector and re-shoring efforts by socially conscious brands are making an important impact on the environment and the lives of the craftspeople who make our clothes. “Quality, integrity and respect will always be in fashion,” says Cheng. 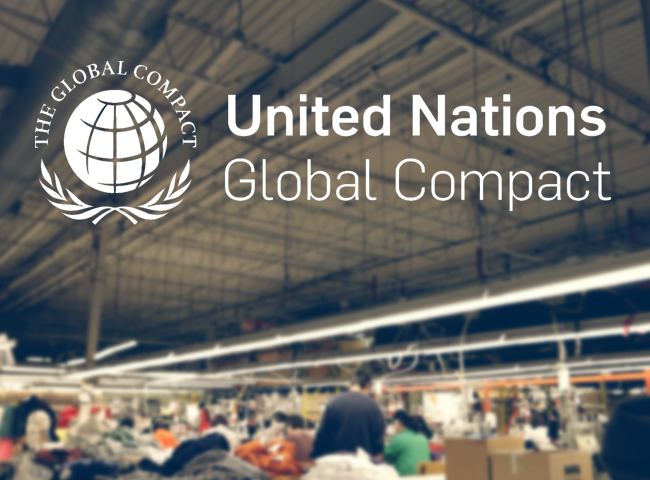 Download the entire EY United Nations Global 2014 Global Compact Report here, and read more about the UN Global Compact here.